It's not everyday that you come across a vintage collection that's holding one of the best rookie cards known to the hobby. 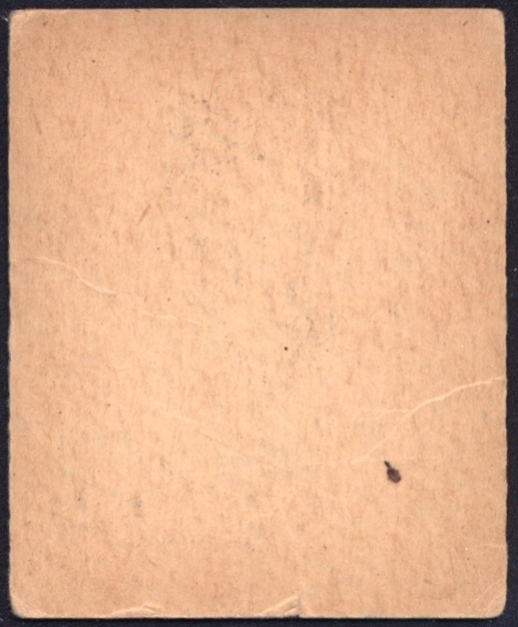 And you certainly don't come across authentic blank-back cards that often either. 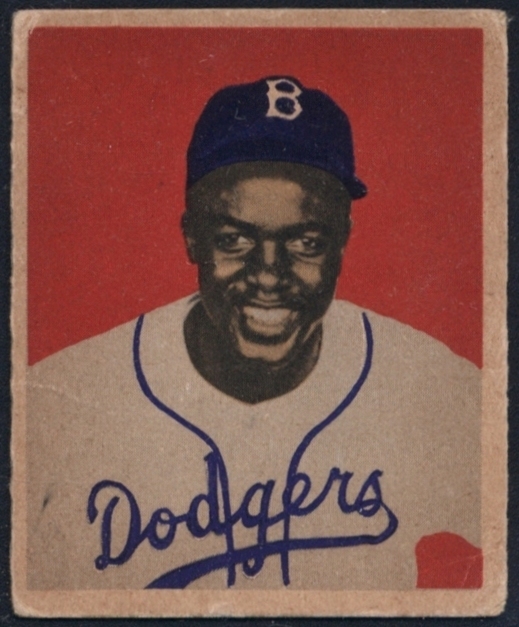 So, what are the odds that a phenomenon, such as a Jackie Robinson rookie card with a blank bank, could actually happen? Well, apparently as often as Halley's Comet - both of which I've now seen once. Believe me when I say that we spent some time scrutinizing this card. Everything seemed to meet the standard parameters for the issue, from the size, paper stock, coloring, registration, and cut characteristics. Nothing stood out as an abnormality, so we felt 100% confident that this was a regular issued, authentic, non-skinned example. Now since this is obviously a rare and unique example, it's hard to put an exact value on the card, as there isn't any public sales data to compare it to. Who knows if it will actually carry a premium when it finally comes to auction this spring. Is this something collectors will be looking for, and will want to invest in? Which brings up another point, can you be looking for something that you didn't know even existed? I guess we will find out in a few weeks. We can only assume that will be a few "type" collectors out there that will be looking to add this one of a kind piece to their collection, which will make the bidding war fun to watch. 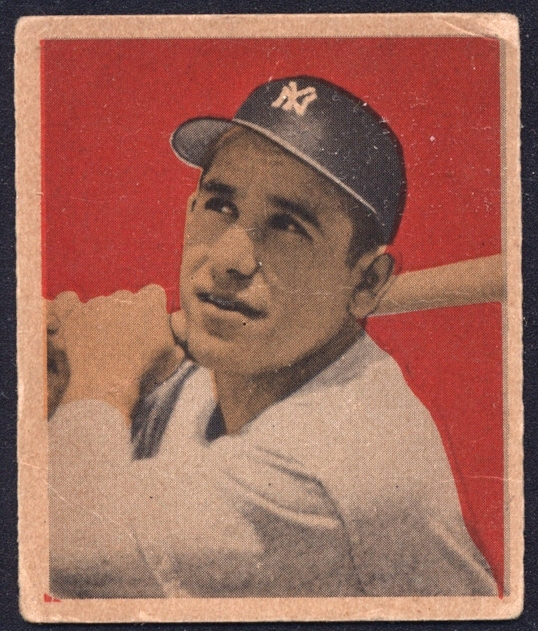 Also included in this collection was a 2nd year Yogi Berra, also from the 1949 Bowman set, also exhibiting a blank back! These are two of the best cards you can own, and they are unlike any other. Both appear to be in VG condition. Aside from the few '49 examples, 1948 seemed to be the theme for this collector, and his collection also consisted of about thirty-five 1948 Bowman cards, which included three Yogi Berra rookies and a Warren Spahn rookie. There were also a handful of 1948 Westerns and Goudey Indian Gums cards. 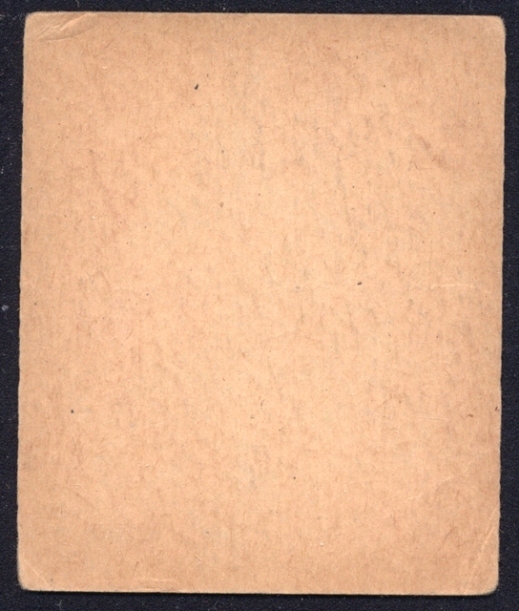 The Indian Gum cards were one of the highlights, as they feature black ink on the back, which is a little more rare that the examples from the 1930s. Most of the early cards ranged in condition from Poor to EX, making only a few of them "gradable". The rest of the collection was nothing too special, just a few stars and rookie cards from the 70's and up, with not many examples in high grade. 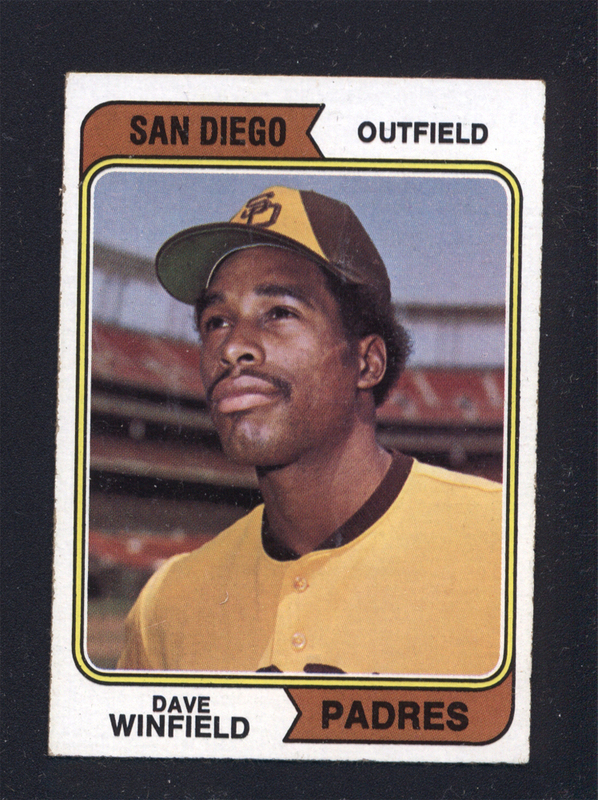 There were a few examples that did stand out however, and they happened to come from the run of 1974 Topps. 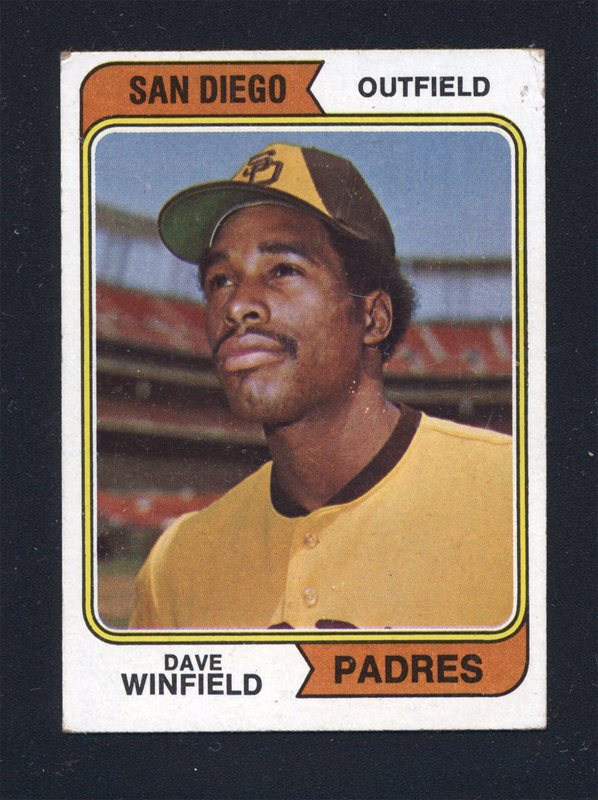 There are two Dave Winfield rookies, a 2nd year Mike Schmidt, and a sharp Nolan Ryan card. 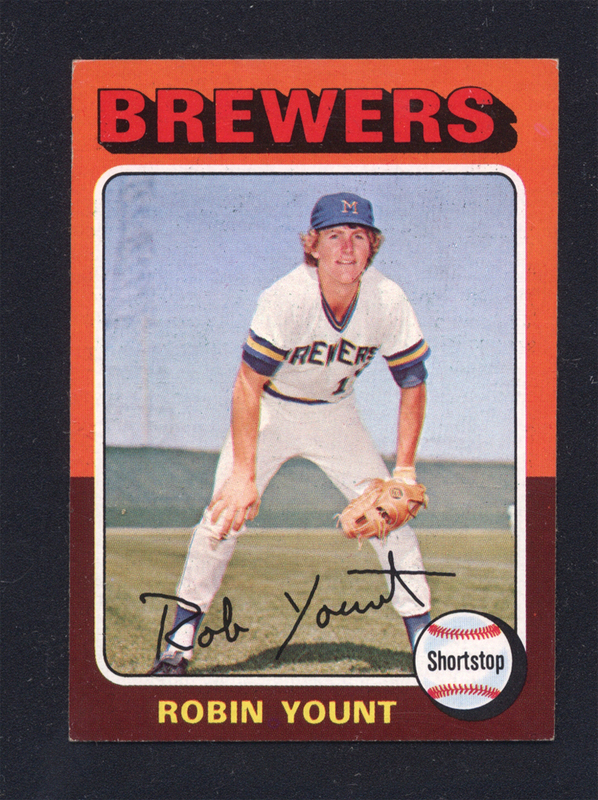 Additionally, there was a 1975 Robin Yount rookie card which was in pretty decent shape. We've sent those few examples off to PSA for grading, and they will be available via our eBay auctions in the next few weeks. What really made this collection worth it were the blank backs of Jackie and Yogi. Definitely unique and something we haven't seen. We're very fortunate that this collector took the time to contact us and to eventually mail his collection into us for an offer. You can check out all of these cards in the video below. Do you have a bunch of old cards that you are looking to sell? Give us a call and we'll provide you with a free appraisal!